Limited edition of the Miralda book "El Internacional", signed and numbered by the artist. 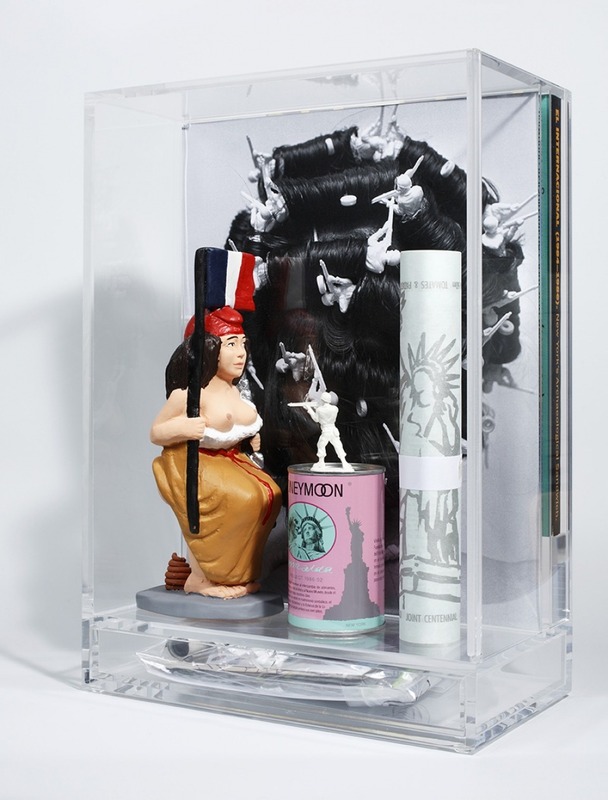 The custom-made plexi box contains one copy of "El Internacional", a limited edition sculpture of French icone Marianne, 2 original photographs, a pink Honeymoon can, a dining menu with The Statue of Liberty. Inside the plexi drawer, at the bottom of the box, are various documents related to "El Internacional", such as other menus, etc. 3- One original print with white soldiers on a black background, a fragment of the Sala Pelaires exhibition poster, (1973) (7 x 49 cm), cellophane-wrapped. 4- One test tube (6 x 1.5 cm) containing colored rice. Miralda-Selz Traiteurs Coloristes (1970-2017), cellophane-wrapped. 5- One original drop-down menu Coloring Cards (1972), signed and colored by the artist (closed dimensions 13 x 18 cm, open 82 x 18 cm), cellophane-wrapped. 6 and 7- Two drawings from the Food Situation for a Patriotique Banquet exhibition (project for the MoMA, unrealized), New York (1972) (15.9 x 21 cm), cellophane-wrapped. 8- One Food Situation for a Patriotic Banquet exhibition photograph, from the Arts & Foods exhibition, Milan (1972-2015) (15.9 x 11.8 cm), cellophane-wrapped. 9- One photograph of the Drapeau riz pourri, presented at Food Situation for a Patriotic Banquet, Arts & Foods exhibition, Milan (1972-2015) (15.9 x 11.8 cm). 11- Shell and original image from the Santa Comida catalogue, Museo del Barrio, New York, (1984) (8.5 x 12 cm), cellophane-wrapped. 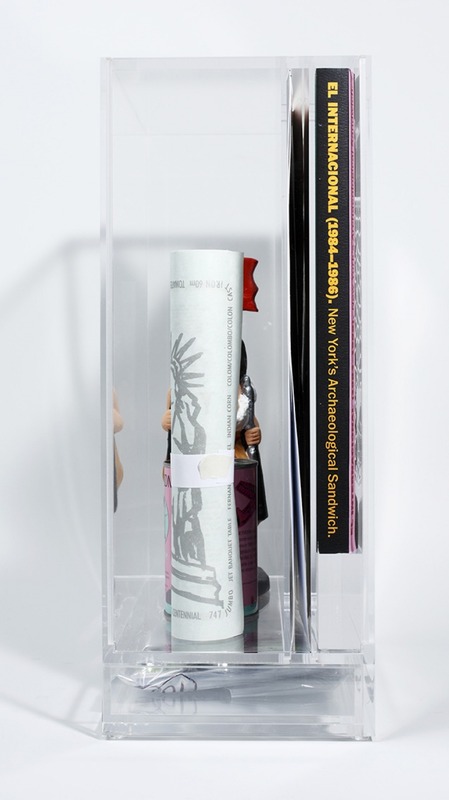 12, 13 et 14- One copy of the book El Internacional 1984-1986 New York’s Archaelogical Sandwich (33 x 24 cm), one original newspaper (1984-1986), and one original menu (1984-1986). 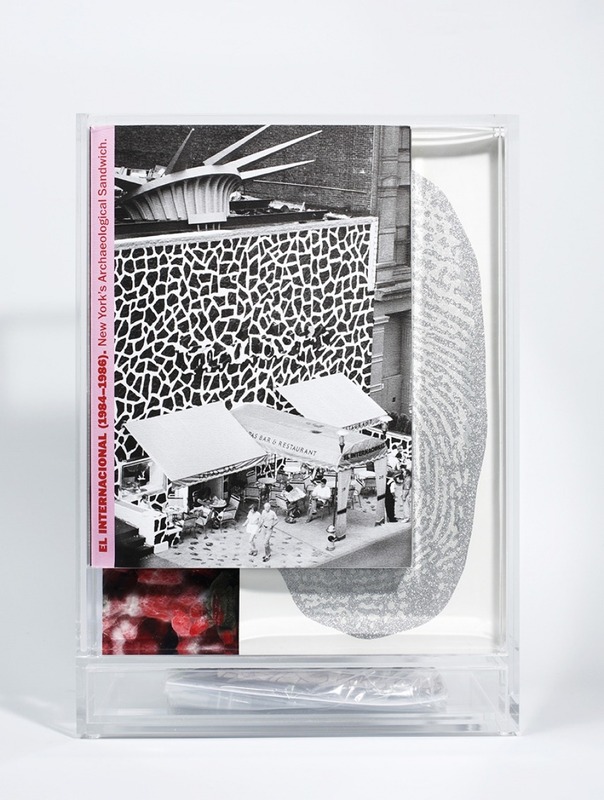 16- Original invitation for the Engagement Ceremony, « Honeymoon Project » New York. Silver print (28 x 42 cm). 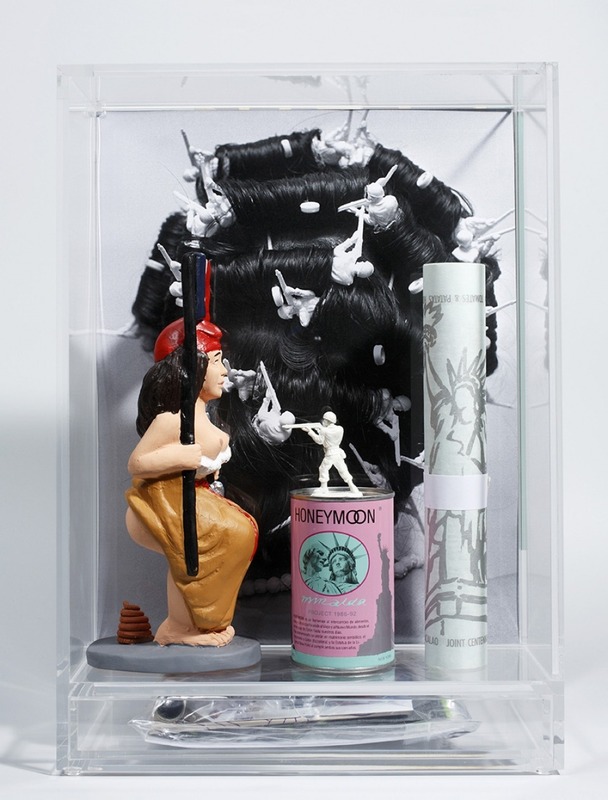 17- One plastic Honeymoon card, « Honeymoon Project » (1986) (5.5 x 8.5 cm), cellophane-wrapped. 18- One Columbus Finger original print. Liberty’s wedding dress’ train imprint on paper (1991) (39.50 x 19 cm), cellophane-wrapped. 19- Original Power Food poster printed on silk paper, and folded. « Power Food, @table! » Exhibition, MIAM, Sète, (2009) (13 x 19 cm plié).